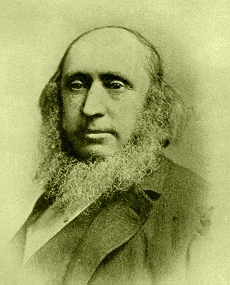 Although he is not well known today, English author Richard Doddridge Blackmore (1825 – 1900) was one of the most famous and dominant authors of his time gaining a world wide audience in the latter half of the nineteenth century. His novel Lorna Doone: A Romance of Exmoor (1869) remains popular with modern readers with British Readers electing it a selection in the BBC's "Big Read" project. His work was characterized by a vivid portrayal of the countryside and and provoked a deep sympathy with nature.